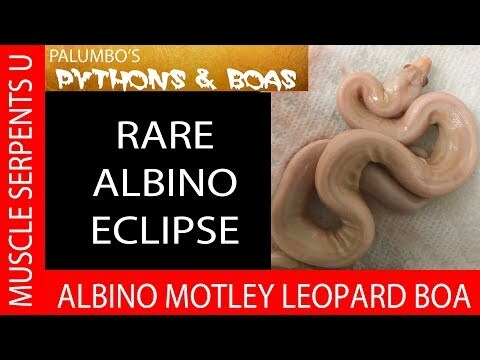 Reptile Insider - A handsome litter of boa constrictors with a mix of leopard, hypo, and motley genes at Blumen Boas makes its way into the world. RedtailBoas.com - A pretty pair of boa constrictors, a Bacon hypo and a Lothlorien motley, make for lovely models. Kingsnake.com - JPC Boas takes a couple of handsome babies from a recent boa constrictor litter and cleans them up for the camera. Reptile Insider - A handsome ghost jungle motley litter of boa constrictors at Blumen Boas line up for a great post shed photoshoot.